The ban is informally known as the Dima Yakovlev Law, after a Russian boy adopted by American parents and who died in 2008 as a result of their negligence. The European Court of Human Rights (ECHR) ruled that the Russian law banning Americans from adopting violates the European Convention on Human Rights. This does not mean, however, that the law will be rescinded. The ruling applies only to a specific case, and under Russian legislation ECHR rulings do not have to be binding. The European Court of Human Rights (ECHR) ruled in favor of 45 U.S. citizens who accused Russia of discrimination. The plaintiffs are American families that in 2012 started a formal procedure to adopt orphans from Russia. The adoptions were prematurely terminated because on Dec. 28, 2012 the Russian parliament passed a law banning U.S. citizens from adopting. The law was considered a response to the Magnitsky Act passed in the U.S. that was directed against Russian citizens accused of human rights violations in the mysterious death of a Russian lawyer. Critics called it a "scoundrels' law," because it deprived many orphans of the chance to live in a family. The ECHR ruling on Jan. 17 said the Dima Yakovlev Law violated the rights of potential parents who had already started the adoption procedure - they had met the children, submitted documents, and etc. Thus, according to the ECHR, Russia violated Article 14 of the European Convention on Human Rights, "No Discrimination." The court ruled that Russia should pay $3,000 in compensation to each of the plaintiffs. Dmitry Dedov, a Russian judge at the ECHR who participated in the case’s hearing, described the compensation amount as "symbolic," and said the ruling was of a "technical nature." According to Dedov, this doesn't mean the Dima Yakovlev Law is discriminatory in general. Instead, the individuals who had started the adoption procedure and then had been forced to halt it are officially deemed victims of discrimination. Russian officials already expressed their disagreement with the ruling. Senator Elena Mizulina described it as "blatant interference in our internal affairs." 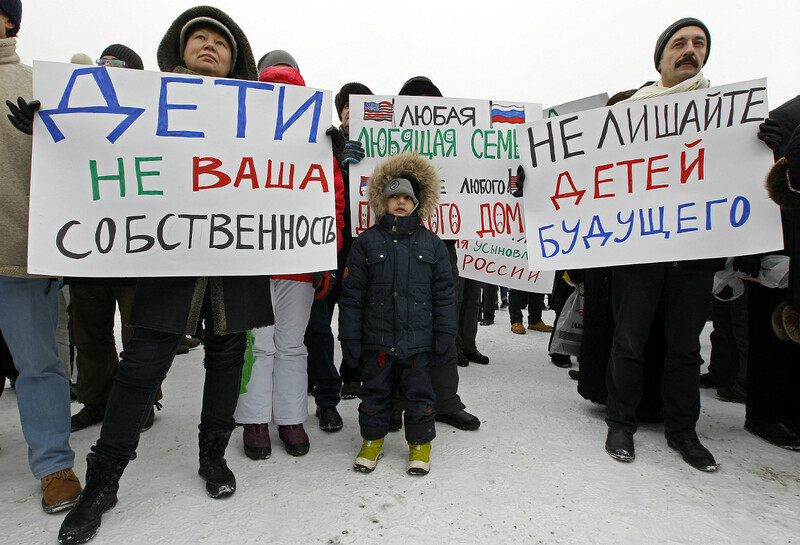 Georgy Matyushkin, a deputy justice minister, said Russia will appeal the ECRH decision. In addition, Manov said the current ECHR decision does not require that the law banning adoptions be repealed. The decision only obliges Russia to pay compensation to the American families.